We offer assistance to financially stressed businesses in the SME sector across a broad spectrum from owner managed businesses to small groups of companies. We tailor our solutions to each person and work with their creditors to produce the best outcome for all concerned. We offer a no obligation free initial consultation at a time and place to suit you to explore the alternatives that are available. Any Director of a company confronting financial problems must accept their prime responsability is to the creditors of the company. However we appreciate that they will also be concerned about their personal position. We work closely with many other professional advisors (Accountants, Solicitors, Banks, IFAs etc) and are always willing to discuss any questions they may have in respect of their client or contact. You call - We'll help! At Compass FRI our aim can be summarised as 'You call - we'll help! '.We'll help you through what we appreciate will be a difficult and stressful time. How do we do this? 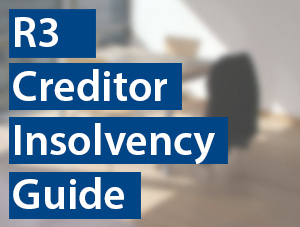 With over Fifty years of experience in business recovery, Insolvency and Finance our dedicated and friendly team are here to help you and your business survive in these challenging times.